It’s the typical life of a parent, is it not? Once you think you’re done with sleep training and implementing a routine for your toddler’s nap times and they’re no longer waking during the night – you find out that somehow, you’re not. Life throws a curveball at you, whether it’s an illness, a bout of teething, a family holiday abroad… No matter what it is, all of your hard work into structuring your tot’s sleep all falls apart. Don’t be discouraged though – it’s normal. In some cases, like a vacation, you know exactly what it is that’s triggered the disruption in your child’s sleeping patterns. But in other cases, the reason isn’t so obvious – and this is what is called ‘a sleep regression’. What are toddler sleep regressions? Basically, ‘a sleep regression’ refers to a toddler that has been sleeping well, but suddenly – and often without warning – begins waking up frequently during the night, or they might refuse to nap during the day. These regressions can last for a period of time, after which their routine should return back to normal. When do toddler sleep regressions occur? 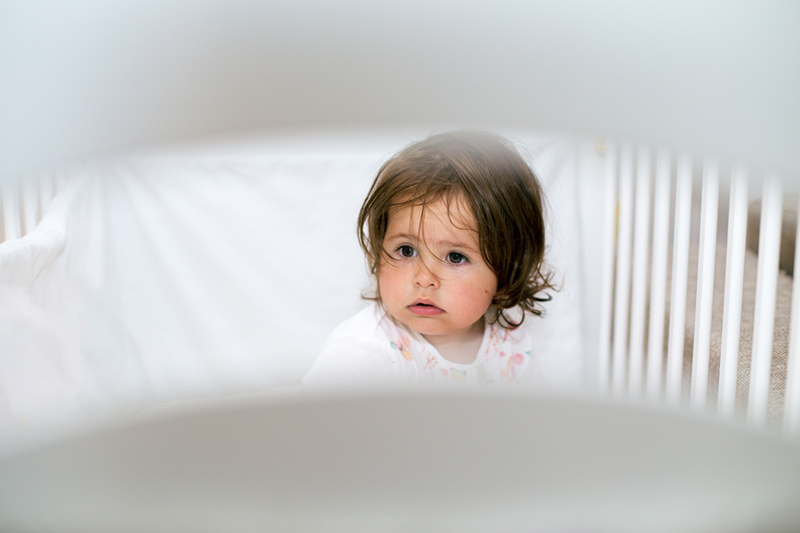 There’s no doubt you might have already experienced this as your child was a small baby – they can occur around 3 – 4 months old, and again between 8 – 10 months old. For toddlers, there are two ages at which a toddler might have sleep regressions; and that’s at 18 months old, and then again at 2 years old. Every sleep regression your tot goes through can be connected to their physical and mental developments; at 18 months, your toddler will be experiencing a number of changes; from teething (As their canine teeth and molars make an appearance), to separation anxiety to an increase in independence as your toddler begins to learn to feed themselves, drink from a cup and even take off some of their own clothing. While similar to the 18 month hurdle, there are a some new things your toddler will be going through as they reach their second year milestone, including; a longer awake time, increased separation anxiety, the removal of nap times during the day, changes at home – like moving into a big kid bed, or the birth of a new sibling, or even potty training – and at this age, they might begin to have nigh time fears. If you’re still struggling with your toddler’s sleep regressions, you might want to tackle the issue head on – and these 5 ways to help them get a good night’s sleep can help you to get started in the right direction.